ADRIENNE joined the Jones & Associates team in 2017. She has four years’ experience in public accounting. Her prior public accounting background includes three and a half years at KPMG in the financial sector. 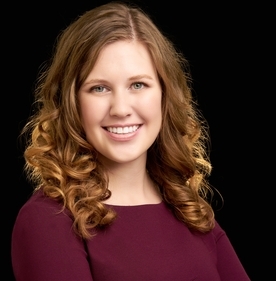 While interning in college at a smaller CPA firm, she developed the desire to work with local businesses and organizations in assisting with their financial compliance needs and wanted to continue that line of work. Now, she is excited to be able to focus full-time on non-profit clients. Adrienne is originally from southern Ontario, Canada and moved to Dallas, Texas 20 years ago. She is a recent transplant to Seattle. When she is not exploring her new surroundings, Adrienne enjoys being outside, running, traveling, dog parks with Ella, and following her favorite sports teams.